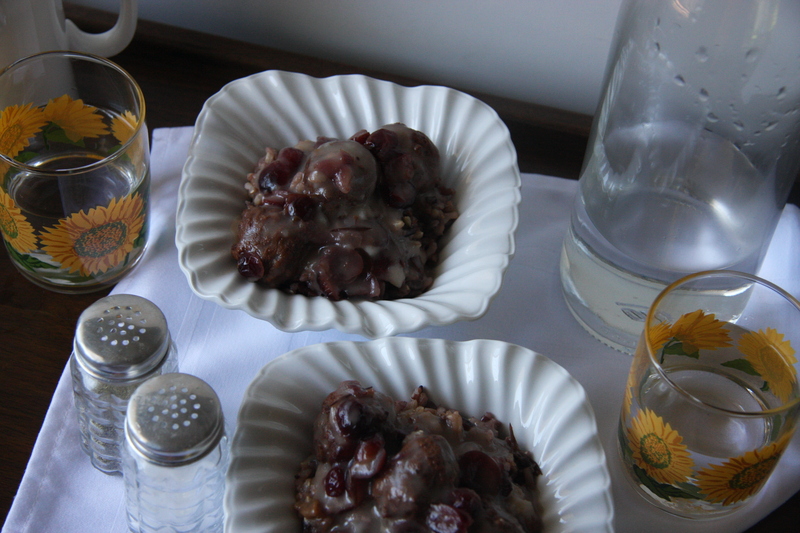 This is another one of my super easy recipes. All you have to do is place all the ingredients into a crock pot cook until done. Now, you can make your meatball recipe or you can buy them all ready made. I usually opt for the second choice. I like to buy the IKEA meatballs, everyone loves them. They are tasty and a fantastic value. I have used them in almost all of the recipes I have for meatballs. Give this recipe a try. 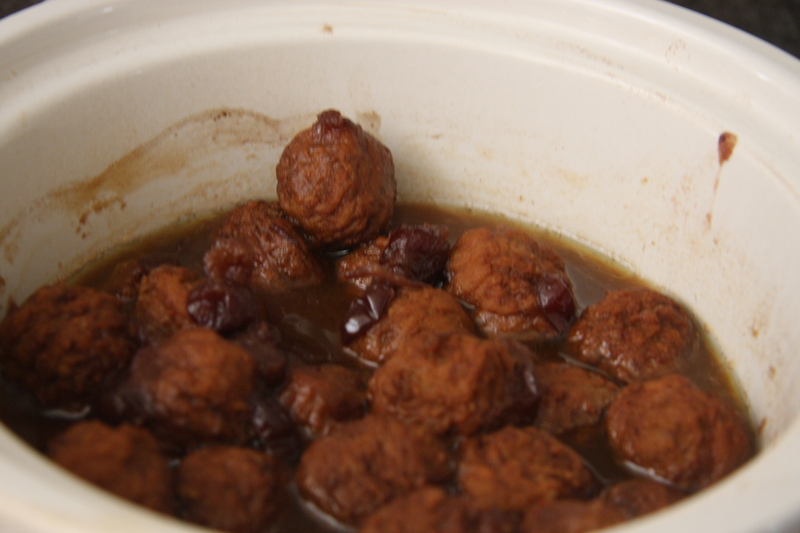 Into a crock pot place 30-40 frozen meatballs, 1 can of cranberry sauce, 1 cup dried cranberries, 1/4-1/2 cup of brown sugar (Opt. ), 1 box of chicken stock cover and cook on low for 4 hours. Make a slurry of 1/2 cup of flour and 1 cup of water, mix well so there are no lumps and add 1/2 of this to the meatballs the last 10 -15 minutes of cooking. Stir and if it is thick enough then your meal is ready. If the sauce is not thick enough then add a little more of the slurry until you reach the consistency you want and cook another 5-10 minutes. This is just like making gravy. 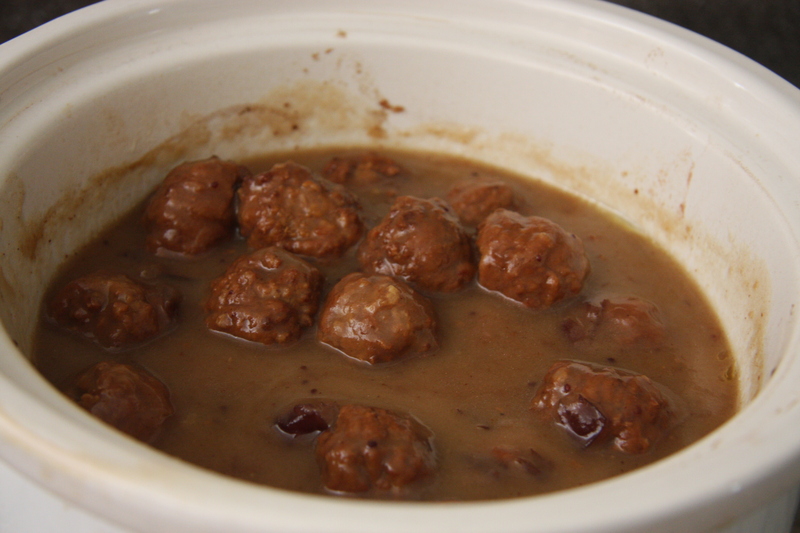 Place the frozen meatballs, cranberry sauce, brown sugar and chicken stock into a crock pot. Cook on low for 4 hours. 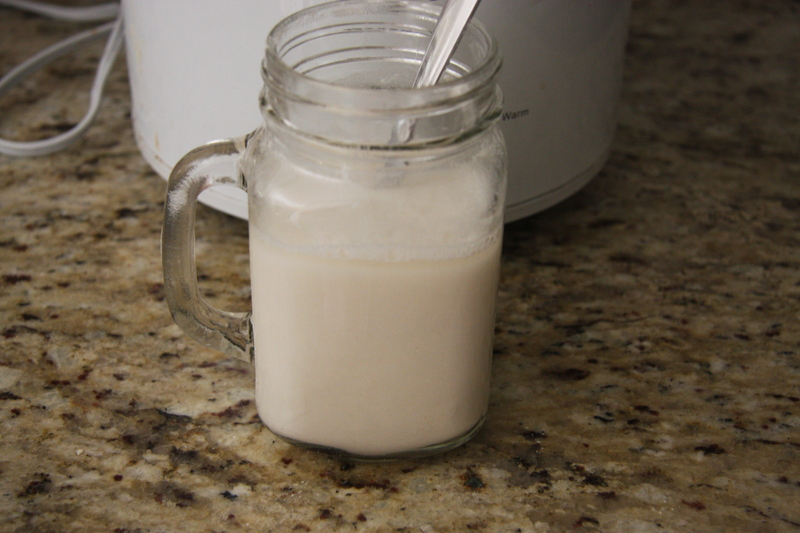 During the last 5-10 minutes add the slurry, 1/2 cup at a time, stirring while doing this, add enough slurry until you reach the consistency you want. Just remember it’s like making gravy. 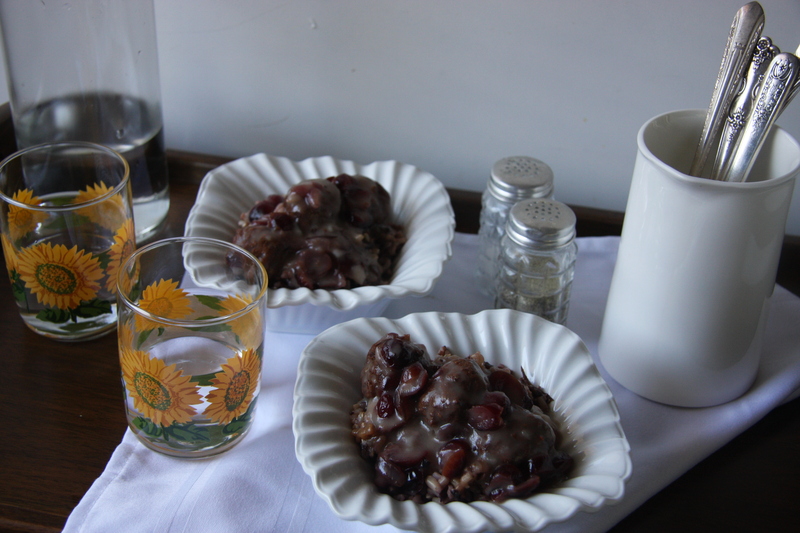 When the sauce is as thick as you want, it is ready to serve over your favorite rice.